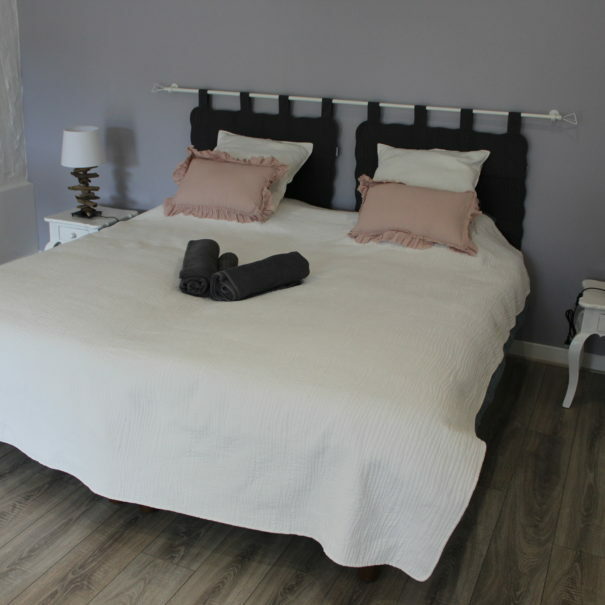 Au fil du manoir offers 2 rooms on ground floor with independent access, the necessary and towels are provided, a hairdryer is at your disposal. 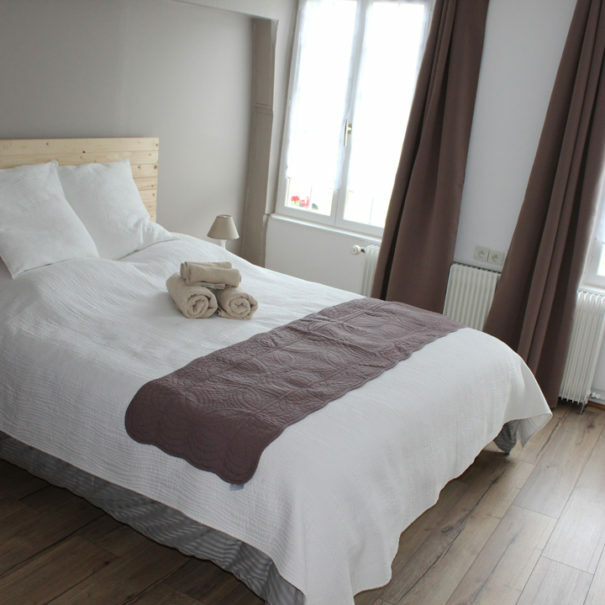 La Cerisaie (15m2) offers a Queen size bed in a sweet and harmonious atmosphere. Its large windows let the sun in when you wake up. The Pommeraie (45 m2) family room with exposed beams offers a separable King size bed, as well as 2 pull-out beds in a soft atmosphere with a private lounge area inviting to relax.